After encouragement to go off and do something different, Cameron spent 11 years working for multi-national companies in far flung markets such as Sydney, London and Munich before he returned to the family fold in 2003. 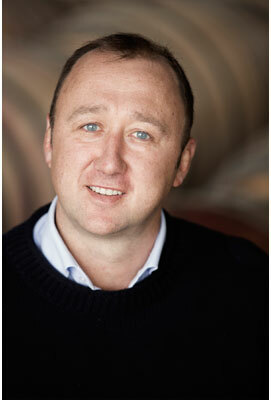 Today Cameron, along with his brother Allister, is responsible for managing Elderton’s business. He spends much of his time on the road spreading the Elderton message and the Elderton vision of excellence from vineyard to bottle from distinguished sites in the Barossa. Like the entire Ashmead family, he is passionate about food and wine. Cameron is a proud Barossan and has served the local community by being on the board and Chairman of the Barossa Co-op (one of Australia’s largest co-operatives), chairing the Nuriootpa Regional Community Association and being a director on the Barossa Foundation. He attained his MBA from Adelaide University in 2012. Family is very important to Cameron (wife Jules and three sons) and in his spare time he likes to bike, play tennis and snowboard.